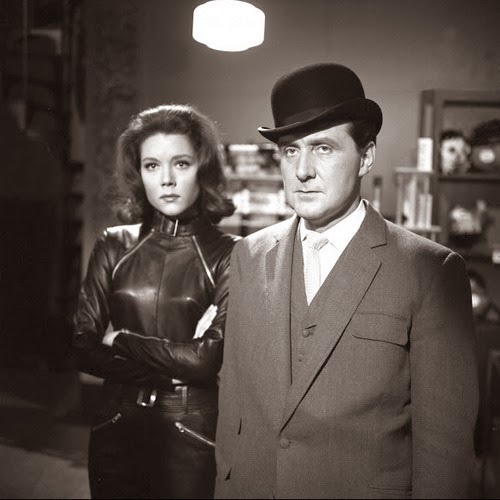 Of course, it was her previous role as the iconic and alluring Mrs Emma Peel in the television spy series The Avengers that ultimately cemented her place as my Smouldering Siren. Despite some forty years passing, men up and down the land remain captivated by the character. Cavorting in a black leather catsuit may have something to do with that. Clinging costume aside, Diana’s wide eyes, high cheekbones and symmetrical face are also damned desirable attributes. 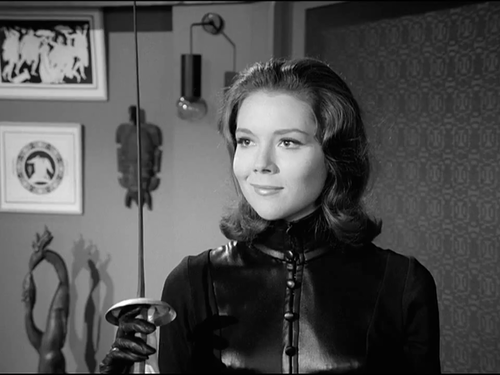 Her Mrs Emma Peel character was no damsel in distress though. 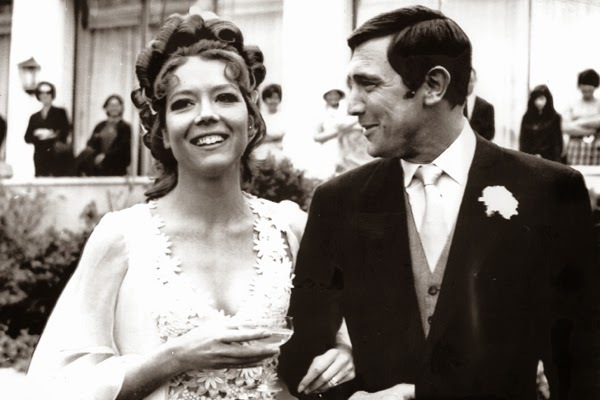 A master of martial arts, an outstanding fencer and a certified genius with an impressive IQ of 152, Rigg’s character was an equal match for her onscreen ally, the terribly dapper John Steed. Now where might you wonder was Mr. Peel while his memsahib was performing her heroic deeds? Well, Mr Peel was presumed dead having disappeared while flying over the Amazon. Unfortunately for viewers, Mr Peel returned from the jungle and he and Emma resumed married life away from the show. How rude! What also warms me to Dame Diana is the fact that she is a Yorkshire lass, although largely raised in India. Following her roles as an Avenger and Bond girl, Diana continued to carve out a successful career treading the boards. So much so that in the mid-90s, she was made a Dame Commander of the Order of the British Empire for her contributions to theatre and film. Dame Diana recently starred alongside her daughter in a 2013 episode of Doctor Who and is currently portraying the mischievous Lady Olenna Tyrell in Game of Thrones. P.S. 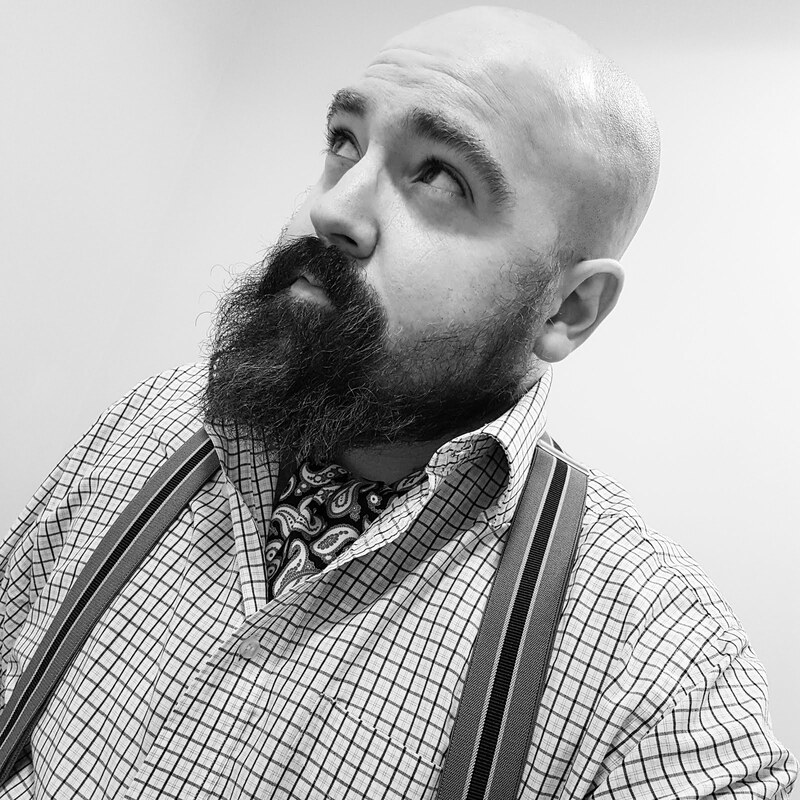 I am delighted to reveal that Norton of Morton is a finalist in the National Vintage Awards! The winner will be announced on Thursday 19th June. A thousand thanks to everybody that voted.